Do you ever wish you had more garden space in which to grow food? So many times, I find myself thumbing through seed catalogs, bummed out that I can’t plant all that I truly want to grow. Since I live in the city and have such limited space, I always figured that I can only get so much yield from my small garden. I rotate the crops as best I can. But I don’t do too much planning other than planting some of my high yield favorites and rotating out low producers. But then I read the new book by Colin McCrate and Ben Halm and I learned that by just following some of the same techniques farmers use (but scaled down to our backyard size), I can get a lot more out of my tiny backyard. I asked Colin to come on the show to talk about the book. He offered up tips, tricks and the full low down on getting the most bang for our buck when it comes to growing food. They planted a truck with edibles. Yes, you read that right…a truck, complete with living side walls. It was extremely cool. It even had an attached chicken coop. 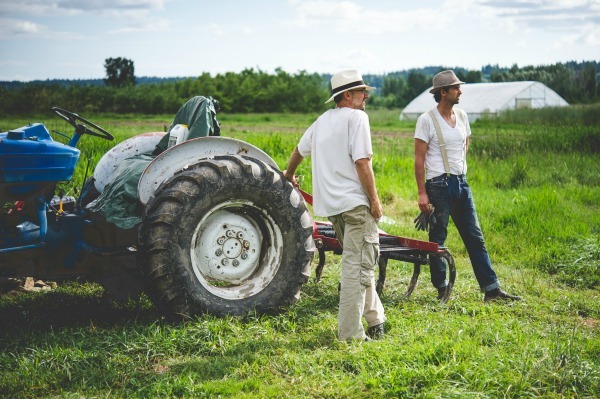 Their landscape firm, The Seattle Urban Farm Company, blends sustainable farming principles with ecological design to create unique, productive outdoor spaces — usually in people’s backyards. (The truck was just a demonstration garden to showcase the idea that food can be grown anywhere). 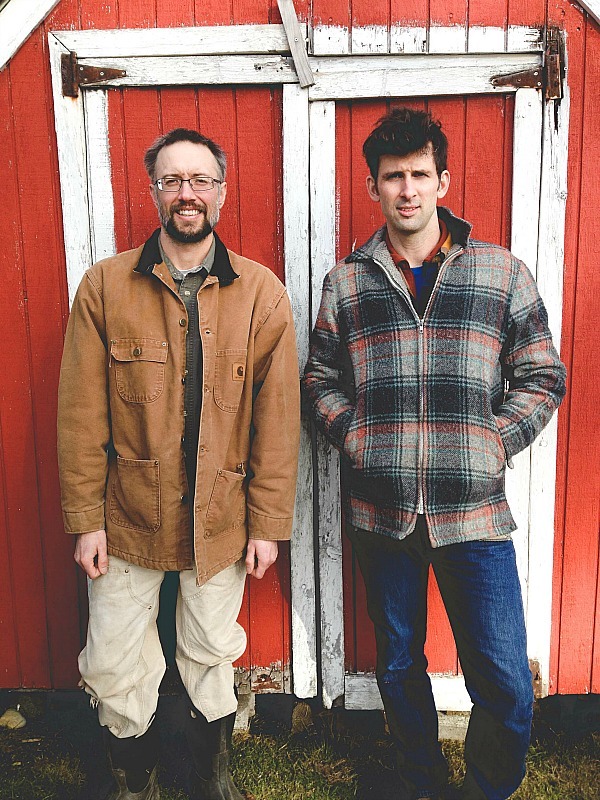 Colin and Brad have written two books and I highly recommend both of them (see links below). Food Grown Right, in Your Backyard, is a beginner’s guide to growing crops at home. 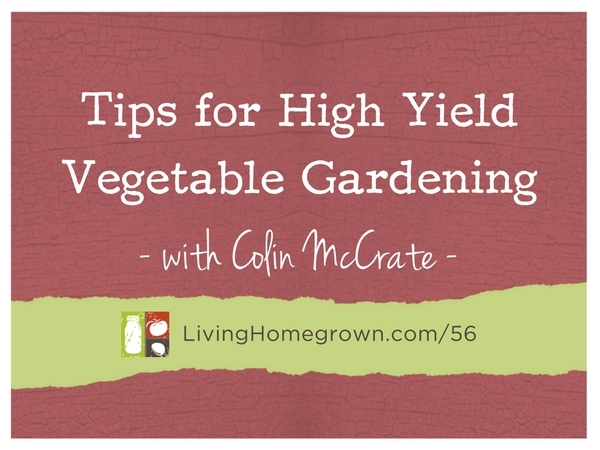 And their latest book, High-Yield Vegetable Gardening, is really a continuation of that idea. It takes standard backyard food growing to the next level. 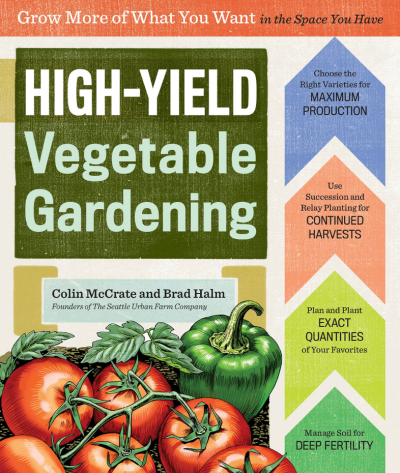 The High Yield Vegetable Gardening book is all about gardening for maximum efficiency and utilizing all your garden space so that your soil is improved and nothing goes to waste. In other words, the book teaches you how to think like a farmer…but on a smaller scale. I hope you enjoy listening to the podcast or you can get everything by reading the transcript below. Thank you so much for making this interview available to us. Especially thank you for both means of viewing the interview. I get more out of it by reading the transcript but I also like to listen to it. Thank you for making both means available and I hope all the future articles will be this way. Glad you liked it Suzanne and YES, ALL my podcasts have the full transcript. I like to read podcast transcripts when I want to go back through looking for a specific point made. That’s hard to do with audio.